This notice is to inform you of the resignations of Rosanne Rushing, 2014-15 PTA President, and Marylu Benitez, 2014-15 PTA Secretary. 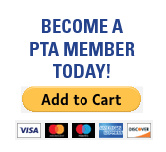 Unfortunately, given that the NHE/OV PTA does not currently have a fully-constituted Board of Officers to run the PTA according to its bylaws, and the guidelines of MD PTA, the NHE/OV PTA must cancel all PTA activities/events until further notice. If you or anyone you know is interested in seeking these positions, please contact me at: 202-468-2976.